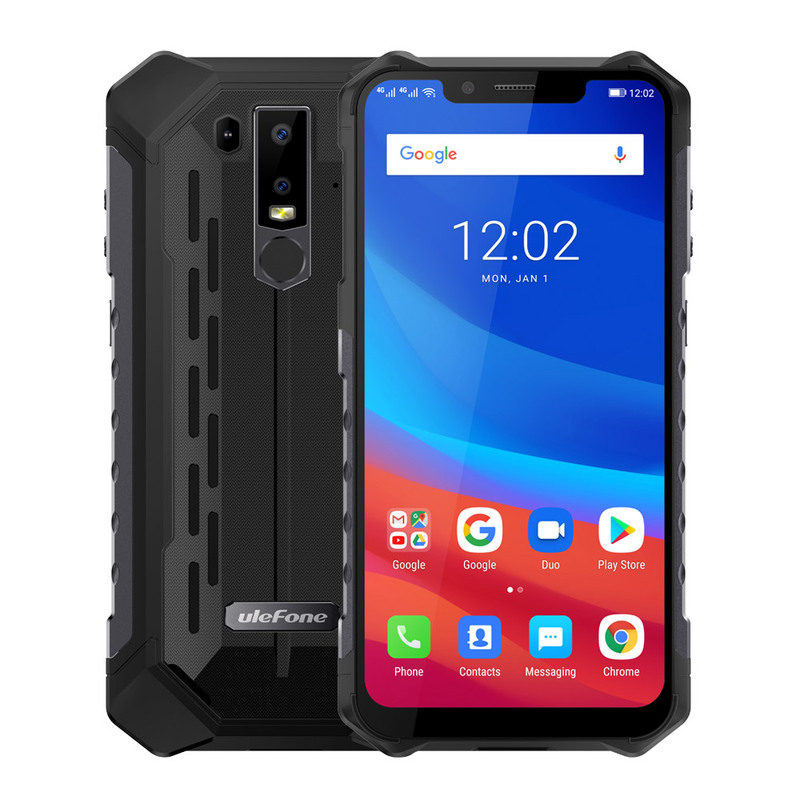 Successfully Added Ulefone Armor 6 4G Phablet - 6.2 Inch, Android 8.1 OS, Helio P60 (MT6771) Octa-core, 6GB RAM 128GB ROM, 5000mAh - Black to your Shopping Cart. 6.2 inch 2246 x 1080 resolution FHD+ screen, offers a wider and clearer vision. Adopts advanced Android 8.1 OS, combined with high-performance Helio P60 ( MT6771 ) Octa-core 2.0GHz CPU, delivers fast and smooth user experience. 6GB RAM and 128GB ROM, there is enough room for you to store videos, games, songs, apps, data etc. 16.0MP + 8.0MP back camera + 8.0MP front camera, let you shoot vivid and clearer photos. striking color. Meanwhile, the delighted screen with Corning Gorilla 5 is also tough enough to handle the thermal shock. end features and performance with lower power consumption. Compared to 14nm, Ulefone Armor 6 can save up to 20% power in total. processing demands. The phone also supports 256GB extensible storage for containing all of what you want.